This is where dream and day unite! Forward to the Past and Spotify Playlists! In the mean time though, the best I can do is to try and capitalise on free time to make something of this blog again – which is what I’m doing whilst I have a few days off -Wahey! A long time ago I mentioned about playlists using Spotify, but didn’t post up many due to the restricted access of spotify. 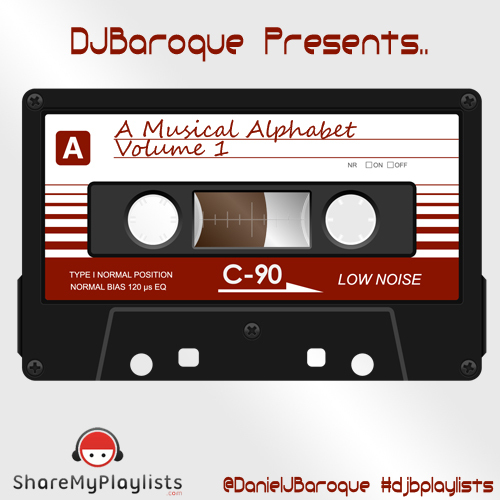 Now it has launched state side and you can get onto the service for free (albeit limited) I’m going to go full steam ahead with the playlisting thing… So without further a do… I present to you Volume 1 of an ongoing series I’m calling A Musical Alphabet. Some of these tracks have been featured previously on this blog whilst I was running my A Song A Day project earlier this year, some you may not have heard before — but I urge you to check this playlist out, as there is some great music inside. Thanks to Kim Koning for this award! Dark Vador This blog, amongst other things, contains a song-a-day section like my own. Paula's Story A blog run by a sincere person on a personal voyage. I urge to you click. Purrfectlee Purrceived Ponderings An amazing blog with unique, daily and thought-provoking posts. The Running Garlic A great blog in postaday2011 and each day has a theme for it’s postings.